A full floor loft with 3 bedrooms and 3 bathrooms spanning 2,177 square feet in the HEART of Soho! 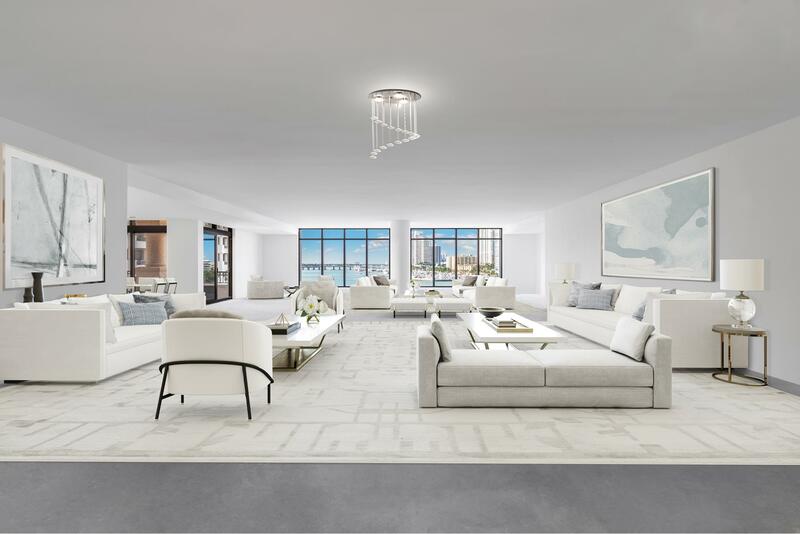 A private keyed elevator opens directly into the oversized living room, boasting 14-foot ceilings. The impressive wall of oversized east-facing windows is the first showstopper to this space, along with an enviable bronze-faced gas fireplace. The custom designed open kitchen features a double oven by Bosch, Gaggenau range, Sub-Zero refrigerator and a built-in Miele coffee/espresso maker. Upstairs, the master bedroom has views of Soho and is a large enough to accommodate a king-sized bed and a separate seating area. There is a large walk-in and two other generously sized closets, which are all built out. A marble bathroom with separate soaking tub, rain shower and double sinks complete this master suite. Downstairs has two more bedrooms and a full bathroom. View listing.